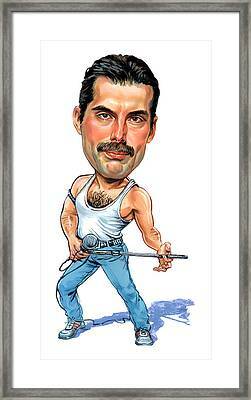 Freddie Mercury is a painting by Art which was uploaded on August 27th, 2012. 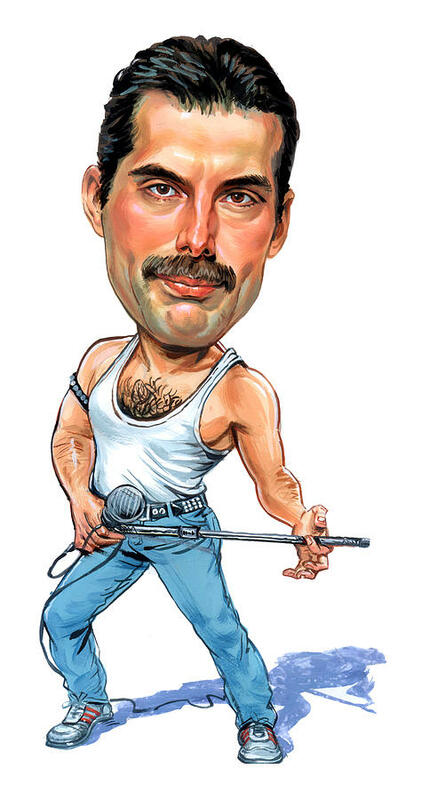 Freddie Mercury (born Farrokh Bulsara; Gujarati: ફરોખ બલ્સારા‌, Pharōkh Balsārā‌); 5 September 1946 - 24 November 1991) was a British musician, singer and songwriter, best known as the lead vocalist and lyricist of the rock band Queen. As a performer, he was known for his flamboyant stage persona and powerful vocals over a four-octave range. As a songwriter, Mercury composed many hits for Queen, including "Bohemian Rhapsody", "Killer Queen", "Somebody to Love", "Don't Stop Me Now", "Crazy Little Thing Called Love" and "We Are the Champions". In addition to his work with Queen, he led a solo career, and also occasionally served as a producer and guest musician (piano or vocals) for other artists. He died of bronchopneumonia brought on by AIDS on 24 November 1991, only one day after publicly acknowledging he had the disease. Great work Art! Congrats on your sale. LOL...Love it! Just love it! Congrats on your sale!